We operate two different shuttle bus services for Bonita Springs, FL: Daily Shared Shuttle Bus and Private Shuttle Transportation to and from over 40 Florida destinations, including our Bonita Springs to Miami and Bonita Springs to Orlando Shuttle Bus. Bonita Springs Station: 27998 Oakland Dr, Bonita Springs, FL 34135 *exit 116* at Mc Donalds GET DIRECTIONS. 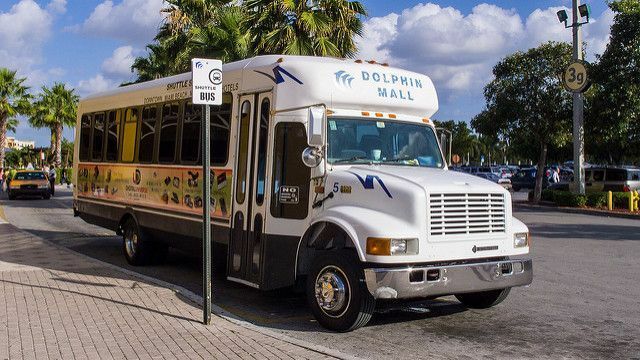 Our Bonita Springs daily shared shuttle bus service is extremely convenient when you are looking to travel accross Florida for an affordable price. Get picked up at any of our great pick up locations! Private Transportation is available for Bonita Springs transportation needs. This service is available anywhere and at anytime in Bonita Springs, FL. Frequently our customers travel from Bonita Springs to many destinations in Florida for vacation, business or to visit family. Check out our Bonita Springs Most Popular Trips. From Bonita Springs, FL Florida Shuttle Now offers both Daily Shared Shuttle or Private Shuttle Transportation, our Bonita Springs trips are: Shuttle from Bonita Springs to Miami, Bonita Springs to Orlando, Bonita Springs to Tampa, Bonita Springs to Port Canaveral and more! Explore Bonita Springs' rich history and visit its local shopping, nearby parks and plentiful restaurants. Take your family on a tour, or enjoy a vacation filled to the brim with rich history in Bonita Springs , Florida. You can also visit the town's own dog beach. Take advantage of our Bonita Springs Shuttle Bus which is proud to provide courteous and on-time ground transportation services to all Florida major airports and seaports. Our fleet of modern, clean and reliable vehicles will get you where you need to go in a safe and comfortable way.